Bramall Lane will host Saturday’s football game between Sheffield United and Millwall, the two teams who have different ambitions in the season finale. Sheffield United are eyeing automatic promotion to the Premier League, whilst Millwall are fighting hard to secure yet another Championship survival. The Blades dropped two points in a 1-1 draw with Birmingham City and, no doubt, they are eager to return to winning ways. 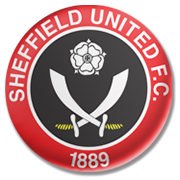 Sheffield United are a real force to be reckoned with at home and we predict that they are going to prove their worth in the clash against the capital club. The Lions desperately needed a win against QPR on Wednesday evening, but the two teams eventually played out a goalless draw in the local derby. Millwall face an uphill task in Saturday’s clash and given their poor away record, we do not believe that they are capable of spoiling the Blades’ party at Bramall Lane. Conor Washington is a Northern Ireland international who began his senior career at St Ives Town. He scored 52 goals in 50 appearances for the club and in 2012 he joined Newport County. He was struggling to adapt to the new surroundings and, as a result, he netted no more than 5 goals in 39 appearances for the Rodney Parade outfit. In 2014 he signed a deal with Peterborough United and two years later he moved to Queens Park Rangers. He played just ten games for the Hoops in the 2015/2016 Championship campaign and he failed to open his goal-scoring account. Conor Washington is a striker who made his Northern Ireland debut on 24 March, 2016 and four days later his scored his first ever goal for the national team, in a 1-0 win over Slovenia at Windsor Park. The Northern Ireland footballer was eligible to play for Scotland through his mother. He was born in Chantham, Kent, England on 18 May, 1992.